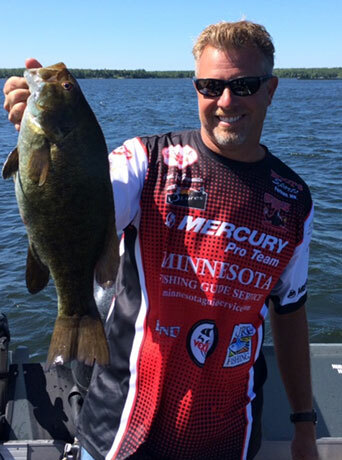 Thanks for choosing Minnesota Fishing Guide Service! Whether it's ice fishing or open water fishing--exciting fishing action and beautiful Minnesota scenery is what you will enjoy on your fully outfitted and professionally guided Minnesota fishing trip with your United States Coast Guard licensed Captain Josh Hagemeister. Whether it's Minnesota's famous Walleye (my specialty), acrobatic Smallmouth or Largemouth Bass, Panfish, hard hitting Northern Pike or monster Muskies--it's all up to you. A classic Minnesota shore lunch is also available! I have been a professional Minnesota fishing guide for 20 years! My extensive guiding time on the water takes me to some of the best fishing areas throughout the state. Some of my favorite areas include Park Rapids / Walker, Ottertail, Fergus Falls, Brainerd /Nisswa, Paynesville, Mille Lacs, Richmond / Cold Spring, Annandale, Detroit Lakes area, and the Alexandria area. See Service Area Map. I can also arrange trips to Lake of the Woods or Rainy Lake! "A true professional and a super fishing guide service, we always catch fish with Captain Josh"
Throughout my guiding career I have also worked as an instructional fishing guide for In-Fisherman Magazine's Camp Fish, co-hosted and produced the "Outdoors Minnesota" TV Series, provided an extensive seminar series to many community education groups, published a sportsman's outdoor newspaper, excelled in many fishing tournaments, and of course became an extremely versatile multi-species fishing guide and angler in the process. I'm confident enough in my abilities to catch you fish that I will not charge a fee if your Minnesota fishing trip is anything other than a success. Your guide, Captain Josh Hagemeister.